Wisdom of Life. : Does Passion comes with luck??? The last two days I was bombarded with comments related to 'parents & children'. It won't be possible for me to reply all individually, but indeed I had learned much from these younger generation of today's world. Thank you so much for all your contribution. Perhaps today I might try to find a way to see whether I could solve everybody's needs and problems. Recently one special lady asked, "Does passion comes with luck? Sounded easy but might not be easy either! First, what passion she was referring? The meaning of passion alone is... A powerful emotion, such as love, joy, hatred, or anger or could be Strong sexual desire; lust. If her passion is on love... Yes. Definitely not by hatred. I always believe a passionate person is always a lucky person. Luck only comes when one works hard. In our sales term, when a salesperson who calls enough prospects, his sales will grow. You might consider him as lucky but in actual fact he works hard to achieve his target. Luck will never be there when nothing is done. Right? Why is it so, 'A passionate person is always a lucky person'? When a person has love in his or her heart, on whatever they conduct or perform, they usually do it well with full commitment. Example.. Please look at me. My heart is full of love, willing to give more than to receive. Reaching 65 and yet be able to sell untiringly. Reason, the passion in heart thrills me to move aggressively, even the younger agents loose out. 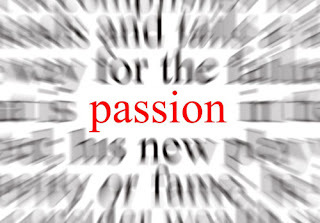 Most of my fellow colleagues thought that I am lucky, but in fact passion is the factor. Now! 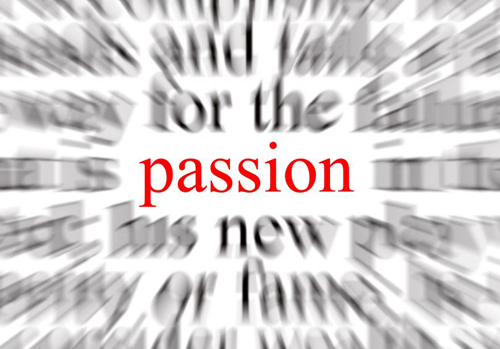 What has Passion got to do with parents & children? I have three grown up sons, two daughters in law, two ex-daughters in law and five grand children. And many many dears, honeys, darlings and one sweetheart. Believe me all of them love me so much. The simple reason is, I have passion for them. I have the patience ear to listen and a powerful mind to understand, plus a willing heart to give. Nothing will block me to make them like and love me. Am I lucky? Yes! Thanks God for blessing me with this miracle of passion, which I word them as A Powerful Emotion as Love. My wonderful readers, this Passion is free and you don't need to pay a dime to get it. It's always in your heart and mind. Just that you have a choice, whether you are willing to give it out as 'love or hatred'. If you are willing to think and apply Love as the right emotion to release into your system or into your life, then you would be bestowed with more luck and happiness all round. Please try and let me know what's the result... Ya? Put it this way, if you are good parents, most likely your children are good people too! The converse is true. And part of the equation of being good parents/ children is the factor of God fearing. Without this fear factor, the result is ..more bad parents/ children than good! Its the cycle of life - good inputs generating good outputs. And we wont have the problems at the scale that the world today is experiencing. People today are too stupidly proud ..they think they can wholly manage life on their own, without the meed to follow God's guidance. Parents and children( who later become parents) alike! I agree with you my dear. The East & The West think differently! Perhaps we should share the differences. Pick the good and drop the bad. Would like to write further on this. Nice of you to speak your mind from the East. Most of us here prefer to keep silence.